It usually happens after a storm, internal active components break down, as they are far too complex. This is a much simpler device with only passive components. Thanks. If I go down this route is this just a plug and play replacement for their original split faceplate, without any cable changes etc. being required? They don't have any extension cabling from the master socket. Although @Keith_Beddoe is quite correct he is (IMHO) referring to lightening storms which may cause a surge on the line. You've already been suppplied the best advice, try a quiet line test on 17070 option 2 with (preferrably) a corded phone. If the line noise is still evident you have a line fault which should be reported as such on 151, not a broaband one. If the line has a problem then so will your broadband. Hi - the trouble is that they have an intermittent fault and whenever BT contact them it seems to be ok. I'll get them to run a quiet line test a few times and see what happens. They said that there's been work ongoing on a nearby green cabinet. Could that be the issue? Ok - sometimes the quiet line test is quiet, othertimes persistent crackle on line. BT seem particularly poor at dealing with intermittent faults. They've already had a HomeHub replaced which made no difference to their BB disconnecting. Under what circumstances would customers be charged the fee of about £130? If the problem was due to their internal wiring. 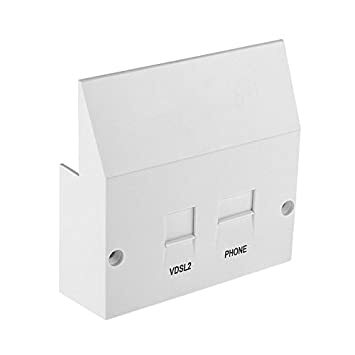 If there is crackling when connected to the test socket there will be no charge. Thanks. I'll let them know. As a matter of interest, what would be causing an intermittent crackle on the line? I notice that you often use links to forum member Keith Beddoe's very useful webpages. Perhaps it would be nice to acknowledge that it was Keith who compiled the pages when you post links to them so that credit can be given for his work.